D-Day is planned for 6th October 2012 (Louvain-la-Neuve, Belgium). Hereafter, you can find the expected route, which might be modified later. 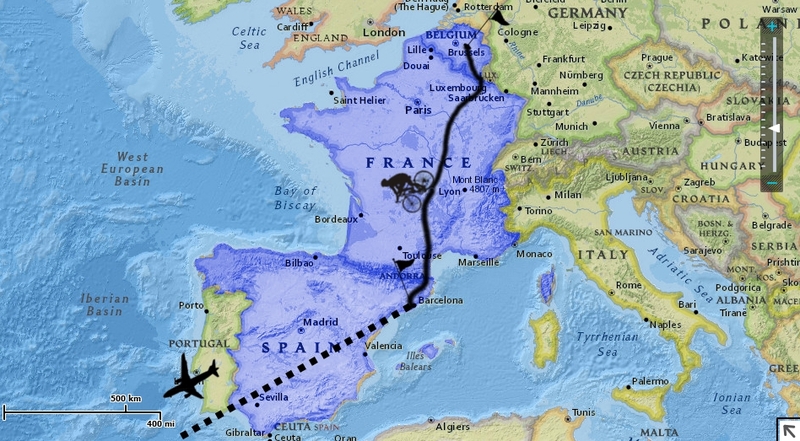 The first part consists to join Barcelona in Spain via France. 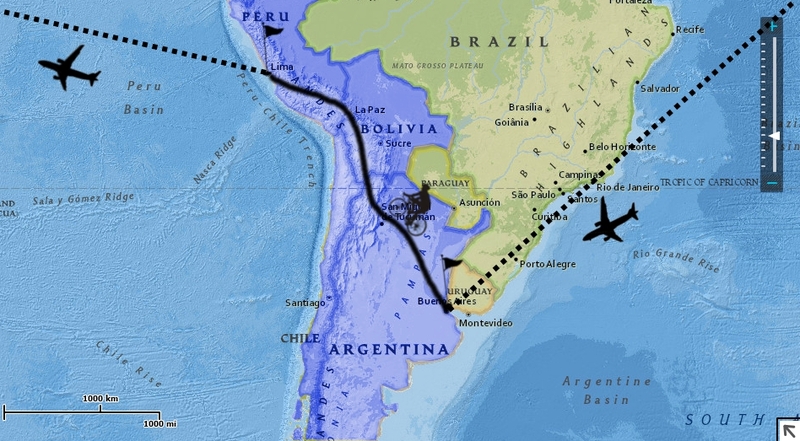 Regarding our estimates, we will reach the Spanish city on 5th November, where we will take our first flight to South America. Our first flight will land in Argentina at Bueno Aires. 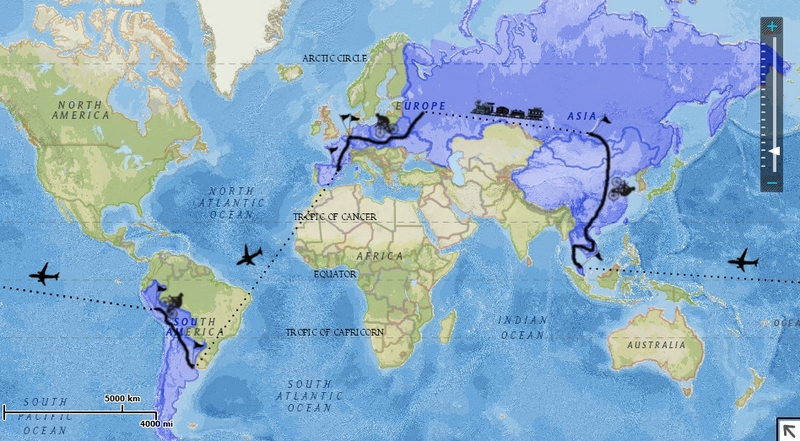 From there, we will bicycle to the North-West and we will cross Chile and Bolivia. Our last staging point in South America is Lima, in Peru, where our second flight will lead us to South-East Asia. We will land in Malaysia at Kuala Lumpur. 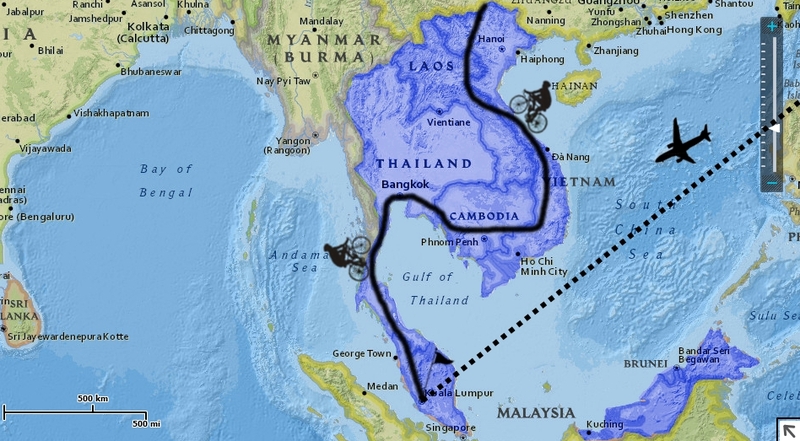 We will ride via Thailand, Cambodia, Vietnam, Laos and we will reach China. We will cross the Middle Empire and reach Mongolia, and its famous steppes, then the Lake Baïkal in Russia. 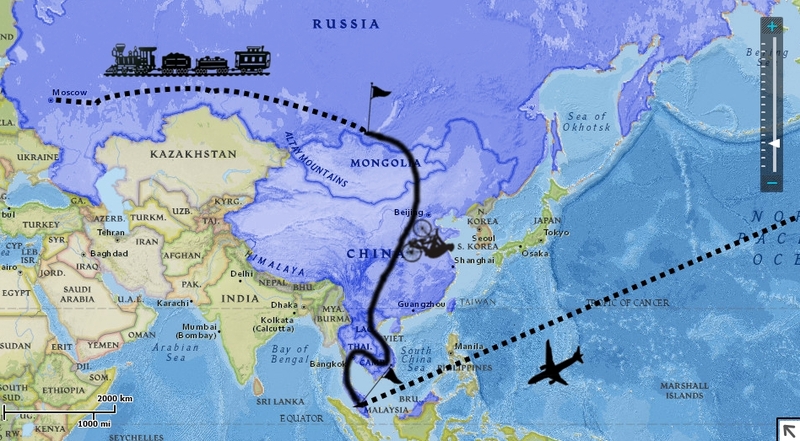 We will take the legendary trans-siberian train, destination : Moscow. Once in Moscow, we will cross the Eastern countries and eventually reach Belgium. 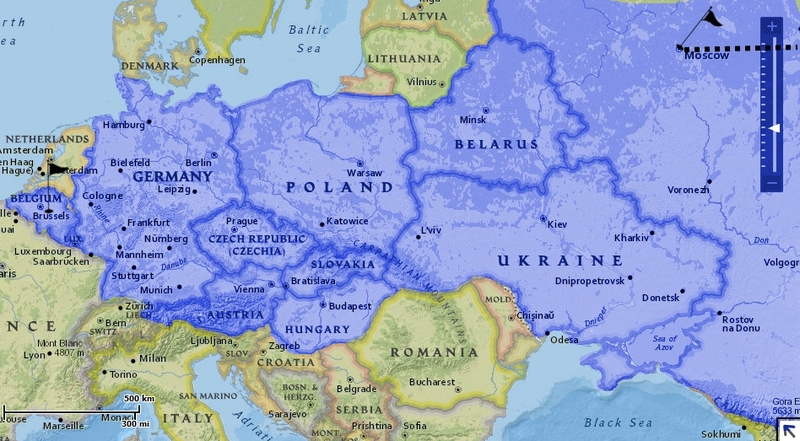 Crossed countries are yet to be defined and potentially include Belarus, Ukraine, Poland, Slovakia, Hungary, Austria, Czech Republic, Germany, and Luxembourg. You can also see the route on Google map (see below) !